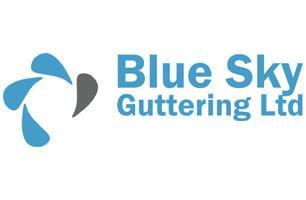 Blue Sky Guttering Ltd - Cleaning Services, Fascia/Soffits/Guttering based in Hayes, Greater London. Invoice history based on 975 reviews. Residential and Commercial Gutter Cleaning, Gutter Repairs and Gutter Lining. Please read our reviews, see what our past customers think of our service. From the smallest residential property to the largest commercial property you can be assured you will be using a professional, experienced and honest company who operate throughout the UK. Customer service and safety are our priority and we have built and maintained a strong reputation among a growing number of residential and commercial customers based on trust, service, quality, professionalism and our competitive pricing. All our teams operate from modern well equipped vehicles and all our operatives are very experienced and highly trained. Blue Sky Guttering Ltd clean and repair all types of residential and commercial guttering. Gutter cleaning, Gutter repair and Gutter Lining services for your house, school, shop, businesses, offices, industrial unit, hotel, hospital, apartment and much much more. From a small private house to a large multinational company, we will ensure very competitive pricing and the very highest cleaning and repair standards, guaranteeing a perfect result on gutters, gully and down pipe emptying and repair. Complete peace of mind, that's our 12 month clear gutter guarantee to all our customers. Sean and Diana (Left) operate in London and surrounding areas.